RL Fine Arts is a collaboration of Chandru Ramchandani and Peter Louis. 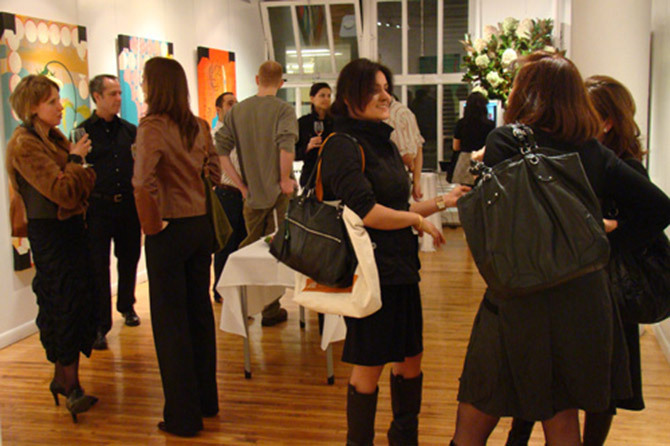 At the inception of the gallery in 2005 we were closely involved with the Indian Modern and contemporary art scene, an area of the art world which is undergoing rapid development and change. The past few years have seen this art tradition suddenly bursting onto the world stage, with Indian artists travelling worldwide to exhibit and Indian art galleries visiting many international art fairs. We have exhibited some important shows of the senior Indian Modernist artists, including solo shows of S.H.Raza, M.F.Husain and also, the first ever show presented with the Estate of Francis Newton Souza of his Chemical Paintings. We continue to focus our gallery on the important senior Indian artists, as well as new and emerging talent from India and other areas.